EDINBURG — The Hidalgo County Commissioners Court heard an uncommon request Tuesday. Rather than being asked for money, somebody wanted to give them something of value. McAllen-based attorney Gerardo Arriaga would like to donate a mural to Hidalgo County, which he proposed be installed on a wall on the first floor of the Courthouse Annex III building, which houses the district attorney’s and county judge’s offices. 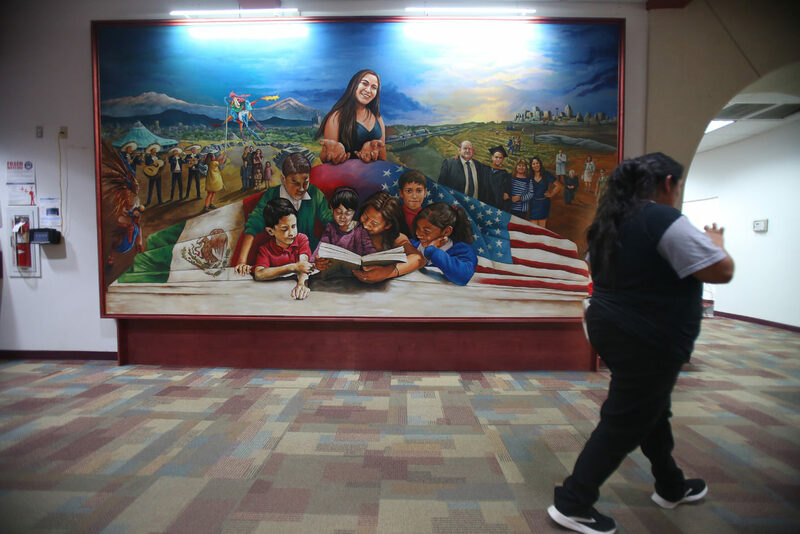 Arriaga asked commissioners for permission to have two muralists from Zacatecas, Mexico prepare proposals for the mural, which he said could depict the county’s history or focus on themes of law and justice. The three commissioners in attendance at Tuesday’s meeting — David Fuentes, Precinct 1; Eduardo “Eddie” Cantu, Precinct 2; and Joseph Palacios, Precinct 4 — said nothing after Arriaga addressed them, with County Executive Officer Valde Guerra only telling him someone from his office would reach out to discuss the proposal. Arriaga told The Monitor he is hopeful the county will take him up on the offer. In his effort to bring more public art to the county, he has donated two murals to the city of Pharr painted by Zacatecas’ natives Imuris and Jose Arturo Ramos Pinedo. The first was installed inside the Pharr Memorial Library in 2017 and the second inside the South Pharr Development & Research Center in October. 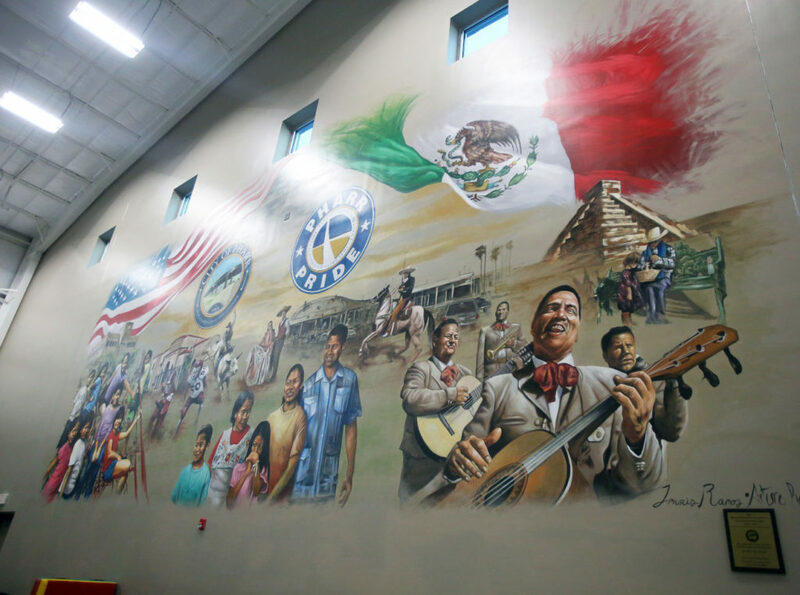 A third mural is in the works for a city building located at the Pharr-Reynosa International Bridge, Arriaga said, also to be painted by the Ramos Pinedo brothers. He is also in talks with the city of Edinburg to install a mural at the Dustin Michael Sekula Memorial Library once it is fully repaired and is working with the McAllen International Airport to possibly install a sculpture there. He has toyed with the idea of trying to have a mural installed at the McAllen Central Station to help welcome visitors to the city and dreams of putting up murals across the county. The murals cost him a couple thousand dollars, he said, and he tries to work with up-and-coming Mexican artists since they are more affordable. His hope is that more private citizens will raise funds to help local cities install murals and sculptures.